Congratulations, Racer Rowing on the stunning victory at this weekend's dragon boat races in Paducha, Kentucky. 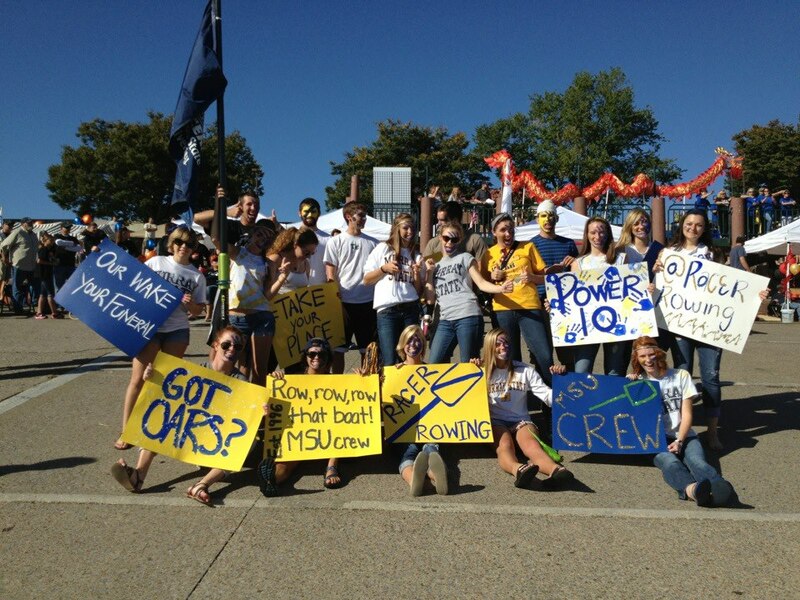 Check back with the Racer Rowing Society for more news and pictures! Very exciting news. From what Lavit was able to share with me in a very brief conversation after he got back from the race, Murray State's victory was as absolute as when Michael Bluth and Steve Holt won the father-son triathlon (Arrested Development; Season 3, Notapussy). But don't stride into October with over-inflated egos, kiddos! When you face off against the Alumni, you won't be dealing with a bunch of Paducha soccer moms and weekend warrior dads (except, of course, for those alumni that are actually parents and actually live in Paducha). But no....You're going to have to deal with experienced rowers who will not be intimidated by face paint and a lot of bluster. You're going to have to bring it!